High density of phenyl rings makes PAF-1 have robust structure and highly lipophilic pore, which make it very suitable for organocatalysis. However, there is no report about using PAF-1 as platform for enantioselective organocatalysis. In this paper, using PAF-1 as the platform, a chiral prolinamide catalytic site was introduced onto the framework of PAF-1 via a series of stepwise post-synthetic modifications, obtaining a novel PAF-supported chiral catalyst named PAF-1-NHPro. Then its enantioselective catalytic performance was studied by subjecting it to catalyze the model Aldol reaction between p-nitrobenzaldehyde and cyclohexanone. PAF-1-NHPro showed good diastereoselectivity and enantioselectivity with excellent and easy recyclability. Peng Chen is currently an associate professor at the Institute of Drug Discovery Technology, Ningbo University. He received his PhD from Lanzhou University in 2011. He worked as an assistant professor in the Department of Chemistry in 2011–2018. His main research interest includes the synthesis of bioactive compounds, functional organic molecules and functional organic materials. Guangshan Zhu earned his PhD from Jilin University in 1998. He was then immediately appointed as an assistant professor in the Department of Chemistry (Jilin University). In 1999, he worked as a postdoctoral research associate at Tohoku University in Japan. He has been a full professor since 2001, and now holds the Cheung Kong Professorship from the Ministry of Education of China and a Visiting Professorship at Griffith University (Australia). In 2015, he was appointed a full professor at Northeast Normal University. 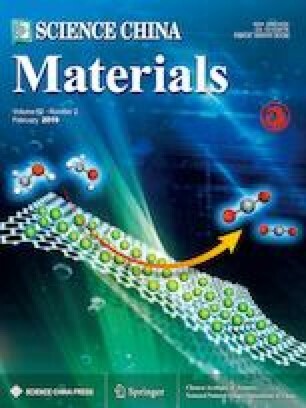 The current research in his group focuses on the design and synthesis of zeolites, metal–organic frameworks, and porous organic frameworks for applications in gas–liquid adsorption, separation, and other advanced applications. Supplementary material is available for this article at https://doi.org/10.1007/s40843-018-9319-0 and is accessible for authorized users. PAF-1 是最著名的多孔芳香骨架材料(PAF), 它拥有许多优异的性质并且可被用于多个领域. 由高密度的苯环组成的PAF-1材料拥有刚性结构和亲脂性孔道, 非常适合用作有机催化的平台. 但是迄今为止, 尚未有将其应用到对映选择性有机催化的报道. 本论文以PAF-1为固载平台, 将手性脯氨酰胺催化位点通过一系列后修饰的方法固载到PAF-1的骨架上, 得到了新颖的手性固载催化剂PAF-1-NHPro.PAF-1-NHPro在催化对硝基苯甲醛和环己酮的Aldol反应的过程中表现出了优良的非对映选择性和对映选择性以及良好的可回收利用性. 本工作展现了PAF材料在非均相对映选择性有机催化领域的应用前景. This work was supported by the National Basic Research Program of China (2014CB931804) and the National Natural Science Foundation of China (21302061 and 21531003).